Uh-oh: Strictly pros calling for a ban on THIS type of celeb | SHEmazing! The professional dancers of Strictly Come Dancing are reportedly putting their foot down when it comes to what kind of celebrities will be on the show. After the success of vlogger and YouTube star Joe Sugg in the 2018 series, the pros are saying that his millions of followers online are an unfair advantage. 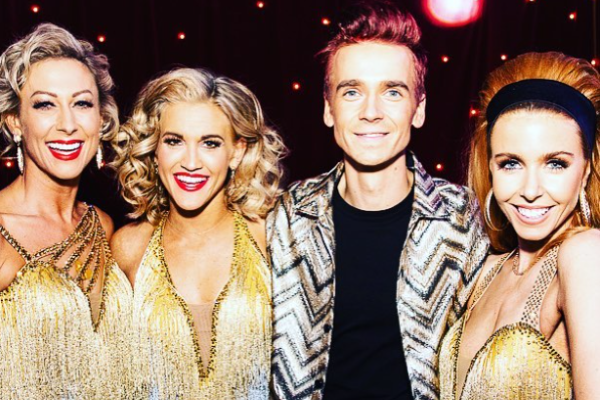 Joe might not have been the strongest dancer, but he did have eight million YouTube subscribers and more than five million Instagram and Twitter followers to help him get to the final. So the pros have gone to the BBC producers to get social media stars banned from the lineup due to these numbers of people voting for them. The producers had hoped that Joe would attract a younger audience but his landslide vote in his favour week-after-week left the pros unimpressed. It seems that shows like Strictly are like most reality shows – mostly about popularity, rather than talent. People vote for the dancer that is the most likeable, and not the one who is actually the best. So is this banning of social media stars a good idea? Or will the same thing happen as it does most years, the couple who has connected the most with the public taking the Gitterball?